First month of Google Chrome ! 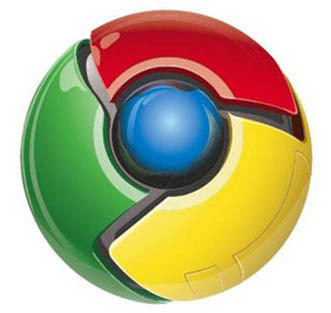 Google Chrome is about to complete its first month after launch and it has shown tremendous growth in this short life span. Statistics may vary on regional basis but the overall market share of Chrome has crossed Opera,Safari and even Internet Explorer. 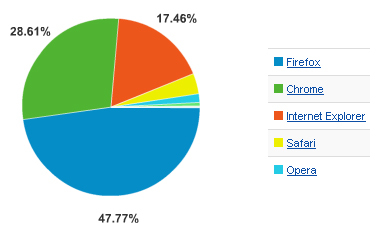 We can’t say about other websites but our own statistics clearly depict the overwhelming acceptance of Chrome. However Google Chrome’s Mac version is still unavailable(will probably become available by the end of this year) but Chrome’s extensive usage hasn’t been restricted by this at all. 28.61% of TechPluto’s readership is accessing this weblog through Google Chrome.47.77% of our visitors access TechPluto through Mozilla(still the dominant browser) and 17.46% use Internet Explorer.Rest are using Safari & Opera. Such a huge marketshare within a month seems a bit unrealistic but these stats does not depict the global browser composition. The reason behind such an agressive transition of our audience to Chrome is probably the technological awareness and experimental attitude. I have been using Firefox for quite some time, and recently used Chrome too. No doubt Chrome is simple, fast and clutter free browser. But being used to so many useful extensions of Firefox, Chrome doesn’t stand anywhere. Have used Firefox for more than 4 years now, and I recently shifted to IE 8 Beta, it is far more better than Firefox 3 and definatly takes lesses resources than Chrome. IE remains the most used browser with a market share more than 70%, u can google this!! The following stats reflect the browser usage patterns of TechPluto’s readership and not the worldwide scenario. just out of curosity, how do you monitor the web browser of the users coming to your website. Ans yes, thanks for the info! !